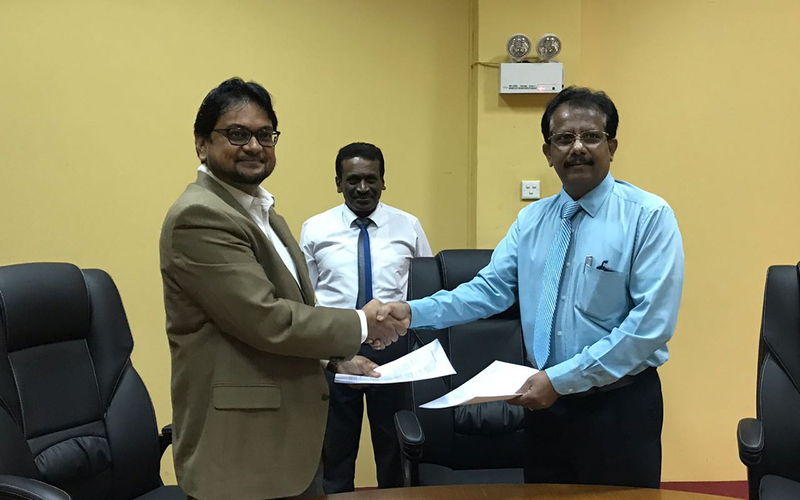 The Sri Lanka Bureau of Foreign Employment (SLBFE) signed a Memorandum of Understanding (MoU) with Verité Research. Verité Research, an independent think tank based in Colombo, will work with the SLBFE to understand the effectiveness of its policies, provide insights on improving policy and bear the research costs. This partnership falls in line with the SLBFE’s goals of maximising the welfare of migrant workers through effective policy implementation and strengthening the foreign employment industry for all stakeholders. The MoU was signed on Tuesday 11 September between Mr. W.M.V. Wansekara, Acting General Manager of the SLBFE and Dr. Nishan de Mel, Executive Director of Verité Research.